Links - Judyth O. Weaver, PhD. The following are some links to other individual and organizations related to Judyth’s work. 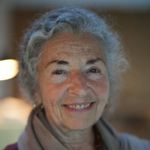 Sensory Awareness Foundation – Founded in 1971 to provide information on the work of Elsa Gindler and Charlotte Selver, the SAF has gathered historical material, interviewed still-living students of the originators, solicited articles from others, translated them where necessary, and published substantive selections in yearly Bulletins. Please visit the new Sensory Awareness Japan website. T‘ai Chi Berkeley is the school of instructor Lenzie Williams, a senior student of Laoshi Lo Pang Jeng (Mr. Ben Lo) since 1975. Ongoing group and private classes in the art of Tai Chi Chuan are taught in Berkeley, California. Workshops are offered throughout the year, in the United States and Europe. T‘ai Chi Magazine – The leading international magazine for persons interested in T’ai Chi Ch’uan (Taijiquan), Qigong, and other internal martial arts, as well as those interested in similar Chinese disciplines which contribute to fitness, health, and a balanced personal sense of well being. Now in its 24th year, it is respected for the quality of its content and the continuing effort to contribute to the development of T’ai Chi Ch’uan world wide. Its feature articles are written by and about international authorities from China and Western countries. Association for Pre- and Perinatal Psychology and Health – A premier organization of professionals in a variety of field, recognizing and publicizing the awareness and sensitivity of prenates and babies, the humanization of birth practices, the development of therapies that address early trauma, and research to develop prevention and document the causes and impacts of early trauma. Wondrous Beginnings and Being With Babies – Wendy Ann McCarty, Ph.D. is a prenatal and perinatal consultant, author, educator and researcher offering prenatal and perinatal consultation services for professionals and families. Ray Castellino, D.C. works to facilitate people of all ages to resolve and repattern prenatal and birth trauma imprinting. He also offers educational services as a two year foundation training. Emerson Training Seminars – William Emerson’s training program description, his workshop schedule and articles about early trauma. The Wilhelm Reich Museum – An incorporated, non-profit organization founded in 1977 to support the development of the site, Orgonon, which was Reich’s home and laboratory as an educational institution. Publishes books, presents exhibits, various programs on Reich’s work. Join Friends of the Wilhelm Reich Museum ($25 per year) and receive its newsletter, discounts on purchases, etc. Natural Energy Works – The Orgone Biophysical Research Lab, under the direction of James DeMeo, Ph.D., is a non-profit science research and educational foundation that builds upon the discoveries of the late, great natural scientist, Wilhelm Reich, M.D. Over the years it has supported various laboratory and field research projects, educational lectures and seminars. The United States Association of Body Psychotherapy (USABP) is a nonprofit membership association dedicated to developing and advancing the art, science, and practice of body psychotherapy. European Association for Body Psychotherapy, sister organization of USABP. Tahoma One-Drop Monastery – Nestled on Whidbey Island in America’s beautiful Puget Sound, Tahoma is where Zen can be practiced in earnest. Traditional Rinzai Zen Buddhism is practiced here under the leadership and direction of Harada Shodo Roshi from Sogenji Monastery, Okayama, Japan.